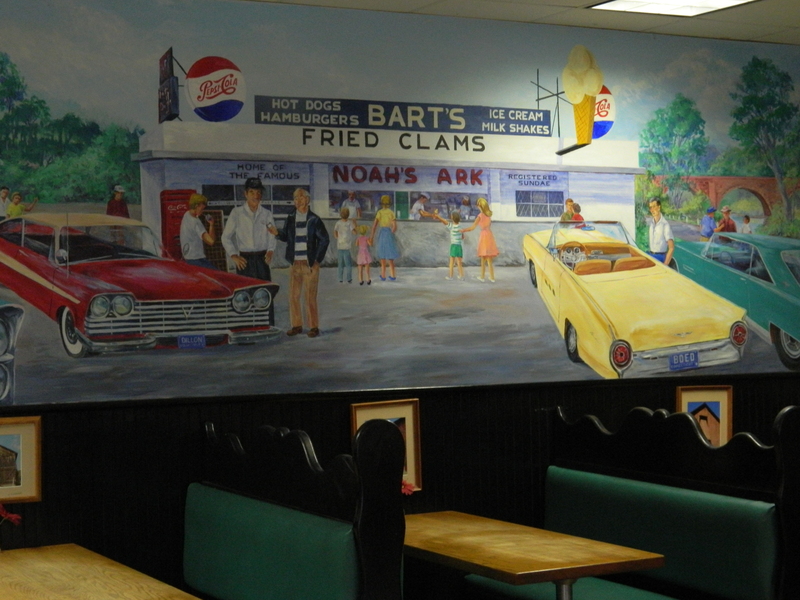 Bart’s Drive-In Restaurant in Windsor, Connecticut is a friendly place where new and familiar faces are welcomed with warmth. “Cruise back in time” at Bart’s – the deep turquoise walls and garage front doors are a homage to the era of hot rods and rock&roll. 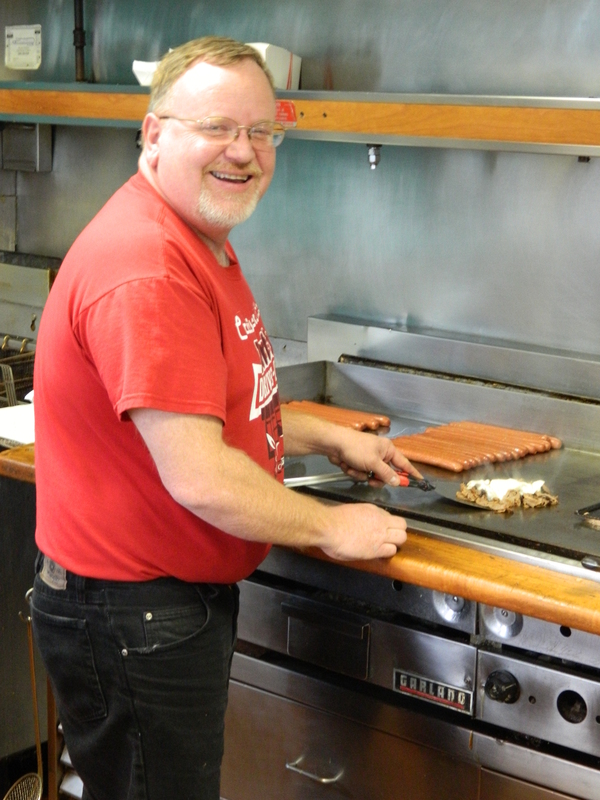 Opened year-round, Bart’s Magic Grill has been pleasing palates for more than six decades transforming what began as a hot dog stand in 1946 into a local institution. 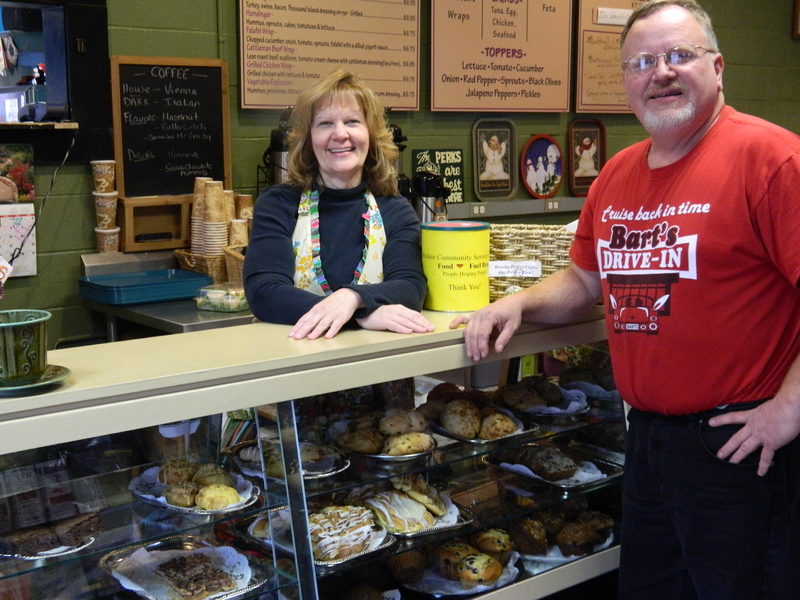 The Beanery Bistro at Bart’s is an added attraction sharing the restaurant’s location for the last three years on the banks of the beautiful Farmington River at 55 Palisado Avenue, offering gourmet coffee, signature sandwiches and yummy baked goods. By the way, that’s Mayor Trinks. Since 2001 Trinks has been mayor of Connecticut’s oldest town, settled in the early 17 th century. He and two business partners bought Bart’s on Valentine’s Day in 2005 to maintain it as a “local icon.” It is named for one of the original Dillon family owners depicted on a hand painted mural commissioned by the Dillons for the dining room, which is now shared by Bart’s and The Beanery. Trinks is quick to point out it was the Dillon family that built Bart’s reputation and set the high standards for customer service which are being carried on. 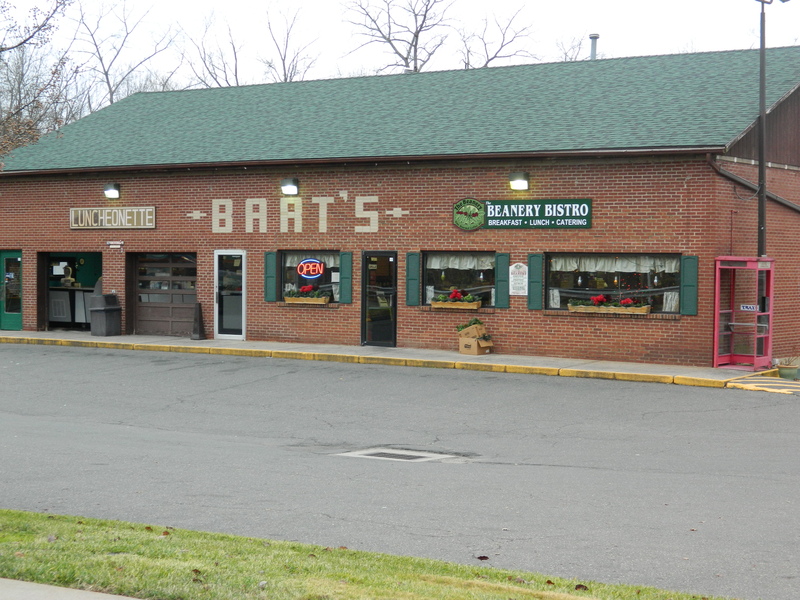 Current events and local issues are often topics of conversation at Bart’s, making it part of the pulse of the community. Over the years, celebrities, high profile politicians and sport figures have stopped in, and, marriage proposals are even said to have been made here. “And, we cut back a bit on the peppers,” he explained. Of course, there is much more than hot dogs on the traditional Americana fare menu – such as burgers, grilled chicken, whole belly calms, fries, onion rings, and another favorite – traditional thick vanilla milkshakes, also available in other flavors. Not to mention a nice breakfast variety. Step through the adjoining door from Bart’s into The Beanery Bistro to experience an array of signature sandwiches made with TLC – tender loving care-by Carol Engelmann and her crew. 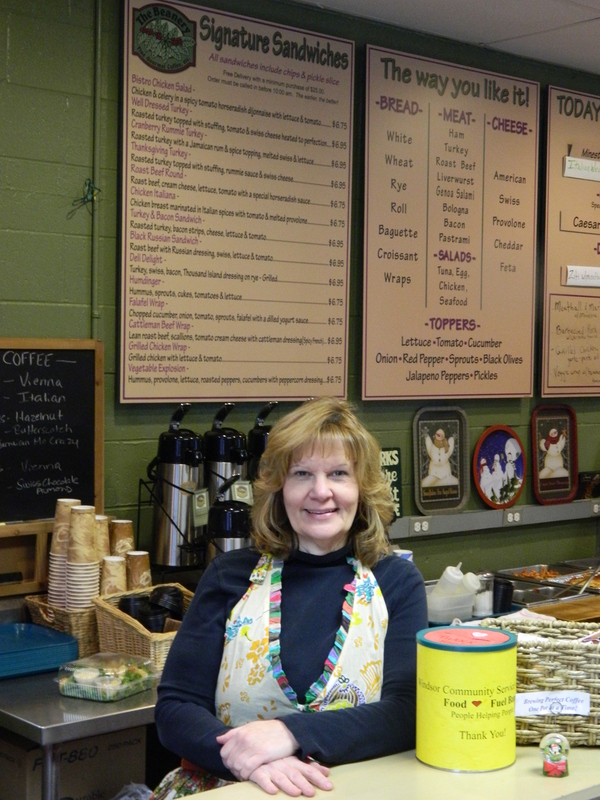 Owned by Engelmann and her sister Jane Garibay, The Beanery relocated from a couple other spots in town. “We have found a home here,” Engelmann said. 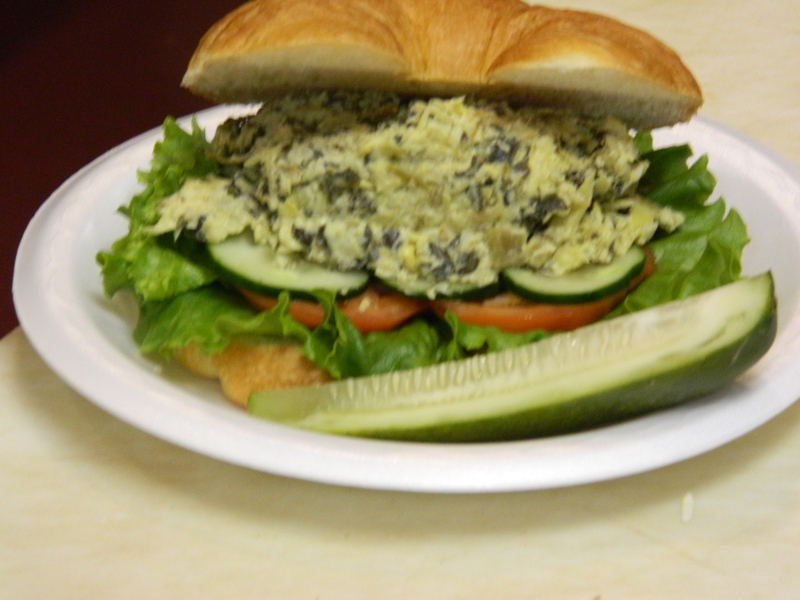 Soups, salads, and a long list of specialty sandwiches with interesting names are on this menu, including a top-seller, ‘The Popeye,’ made with spinach, artichokes and a special sauce. “It’s vegetarian but you don’t have to be vegetarian to enjoy it,” said Engelmann. During warm weather, Wednesday nights are cruise nights at the restaurants. As well, community service is a big part of the Bart’s/Beanery philosophy. Causes they are associated with include: Mary’s Place, a non-profit organization to help grieving children, Alex’s Lemonade Stand non-profit foundation for pediatric cancer research, and, the non-profit SEND HOMETOWN WINDSOR TO THE TROOPS, a WIN-TV project sending care boxes to American military men and women. Thanks to a boat launching dock out back, it is also possible to visit Bart’s Drive-In Restaurant and The Beanery Bistro by canoe or kayak.